Villa Hayden is a 2005 beautiful new mansion located oceanfront in the exclusive subdivision of Santa Carmela with beach access. 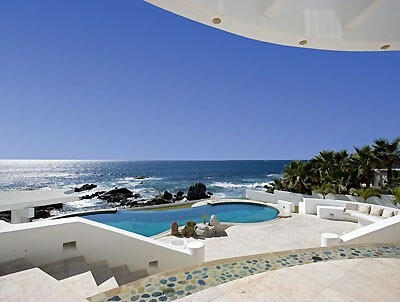 Built of white stucco, the villa offers a dramatic contrast to the azure sky and nearby sea. A large home, it offers over 7,000 square feet of indoor space with dramatic and upscale interiors. The villa has two waterfalls at the entrance and an indoor fountain.